After a record-setting snowfall last winter, and in anticipation of another legendary ski season, SKI Magazine readers rank Telluride Ski Resort in the top five in the annual reader’s survey. The Point: Telluride Ski Resort is back in the coveted top 5 ski resort spot in the 29th annual survey and nabs the number one spot for character. For this winter Telluride continues its ongoing multi-year, multi-million dollar investment in snowmaking upgrades and technology to improve efficiency and reduce carbon footprint. 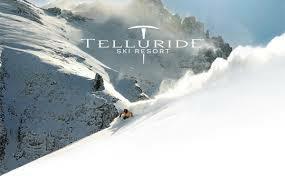 Beginners in Telluride will be greeted by a new 15-acre terrain-based teaching facility and new 300-foot magic carpet. Skiers will also find an expanded grooming fleet to enhance the groomed terrain across the resort. Last years rankings: Overall resort (8), scenery (1), access (45), service (7), character (3), lodging (5), après (6), variety (4), challenge (7) and grooming (10).